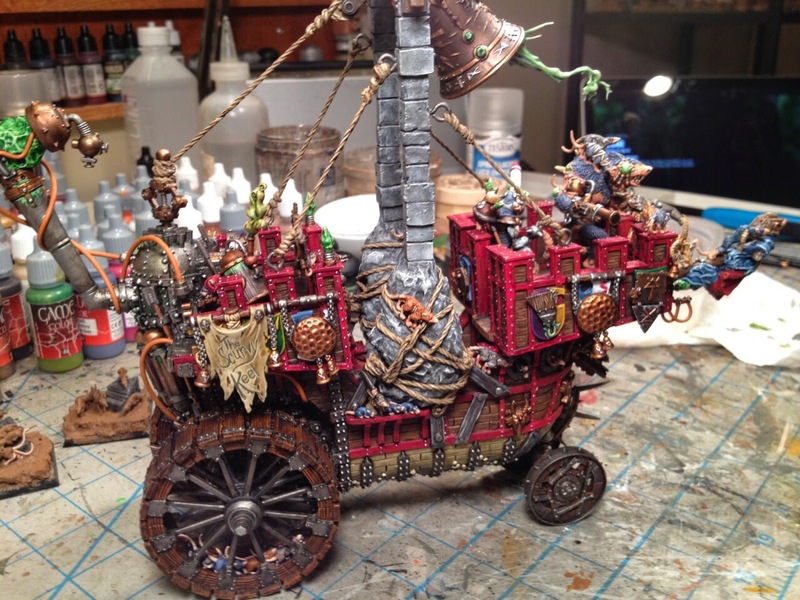 I came across this blog a few weeks ago when looking for some Skaven conversion ideas. It is based in the US, by the look of things in the Midwest. 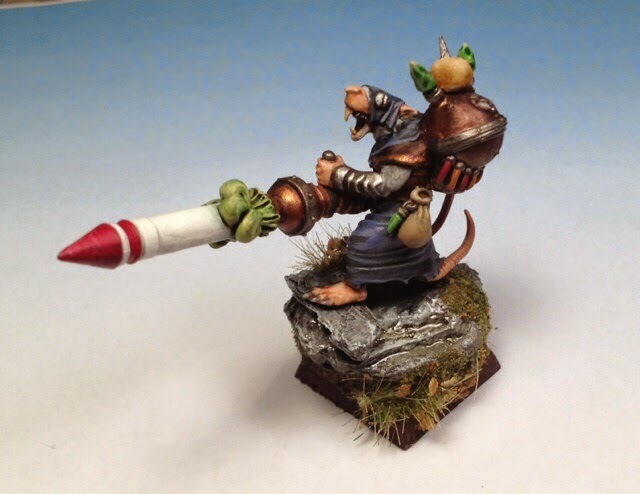 The creativity of the Skaven stuff is great. Here for instance is the Screaming Bell conversion based on the Middenheim Land Ship. This is pretty cool - though I suspect he'll struggle to get it on a 60mm x 100mm base. There is also a pretty neat Warlock with Doomrocket conversion.